Our May newsletter is out and ready to be enjoyed! 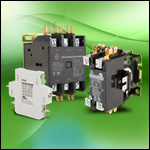 As always we have our newest products featured such as cut-to-length VFD cable and WDP Definite Purpose Contactors. 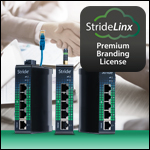 We also have some of our favorite content from this past month including a new White Paper on micro PLCs and a case study involving roller coasters! 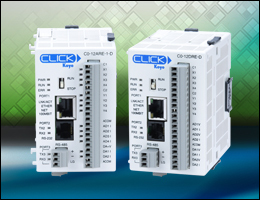 Last but not least is our CLICK PLC and HMI giveaway. 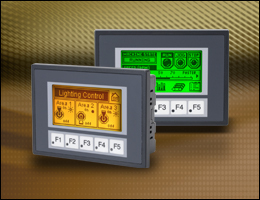 Tell us how you could use a CLICK PLC and HMI for a chance to win one. We hope you enjoy! To read past issues of the AutomationDirect newsletter, click here. The HMI or Human Machine Interface allows operators to “interface” with the system they oversee. It provides a visual overview of the automated system’s status and direct control of its operation. 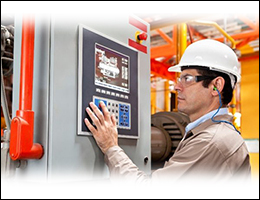 Find out what a HMI can do for you. 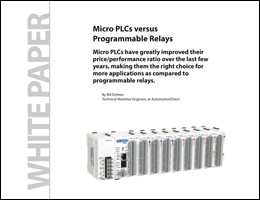 This whitepaper discusses the many advantages micro PLCs have over programmable relays for use in automated machines and processes. Click here to read the White Paper. 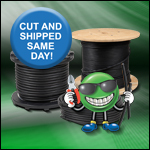 Ever wonder how we fulfill our awesome promise to ship your packages the same day if ordered before 6pm? 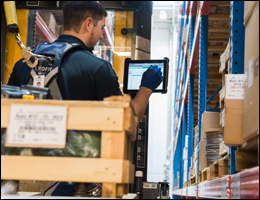 Read the article to understand how the efficiencies of the logistics team help us keep our shipping promise to you. 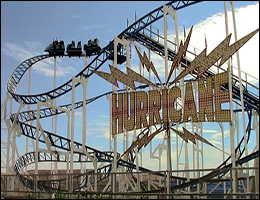 This article explains how Automated Integration replaced an old PLC, a bunch of relays and what seemed like miles of wire when upgrading the control and safety system on the Hurricane roller coaster in a New Mexico amusement park. Read the case study. and a C-more Micro HMI! Tell us about an interesting or creative way you have used, or will use, a CLICK PLC to perform a simple everyday task. Our favorite application will win a CLICK PLC unit of their choice (up to a $189 value) plus a C-more Micro HMI ($98 value EA3-S3ML-RN). Enter to win! 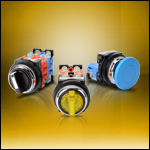 Surge Protection: A Small Investment That Can Save You Thousands →← What is a Photoelectric Sensor?